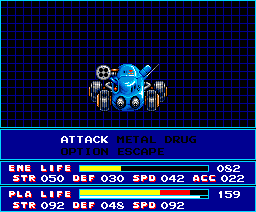 SD-snatcher is an action RPG for the MSX-2 computer system. It was produced by Konami and released in 1990 (For info about MSX visit the ultimate MSX FAQ by The Red Devil & Manuel Bilderbeek). The game came on three 3.5" disks and a rom cartridge. This cartridge contains the fabulous SCC soundchip. The SD in the title stands for Super Deform and it refers to the drawing style of the characters which looks rather childish with big heads an short limbs. 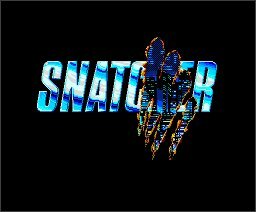 The original game that SD-Snatcher is based upon, is called Snatcher. 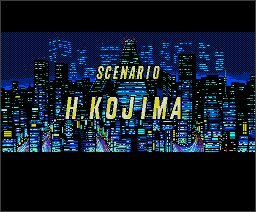 This is a Japanese adventure which was released for the first time in 1988. 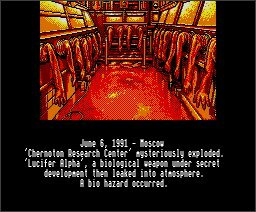 Besides the MSX-2 version, Snatcher has been ported to several other platforms such as Sega CD, Sega Saturn, PC-Engine and Sony Playstation. The fact that SD-Snatcher was (and still is) a very popular MSX game, was proven recently by a poll on the MSX Resource Center webpage, where the game was voted as being the best MSX-2 game ever!. 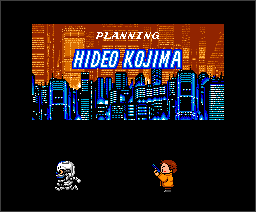 Although SD-Snatcher was completely in Japanese, many non-Japanese speaking MSX users played the game and loved it anyway. 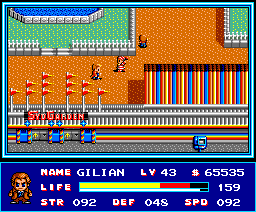 Three years later, in 1993, the Dutch group Oasis translated the game into English and from that moment on, many MSX users all over the world were able to play and understand the game the way it was meant to be.